I'm very lucky and honored to have been invited to contribute to the Sketchtravel book. 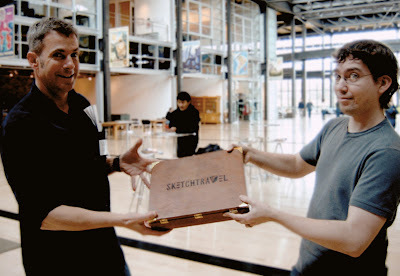 Sketchtravel is the brainchild of Gérald Guerlais and Daisuke Tsutsumi, it's a sketchbook thats passed by hand from artist to artist across the world. Once it's finished It'll be sold in a benefit auction and published as well. I finished my page almost two weeks ago. 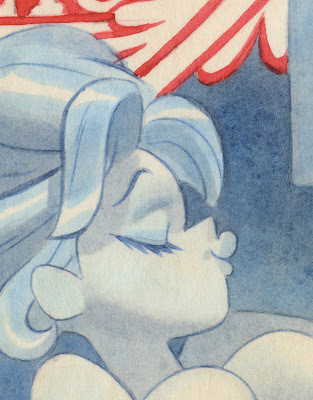 I'm not allowed to show the whole thing so here's a small detail to whet your appetites. I was also privileged with the honor of handing off the book to the amazing Carter Goodrich of New Yorker fame. I nerded out over that one. 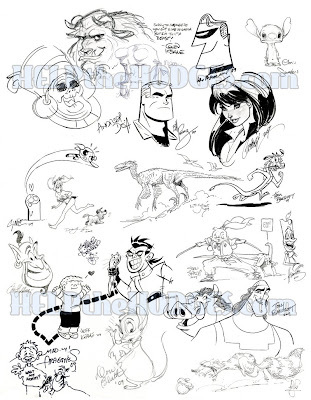 While I was at CTN I contributed to this group drawing to help raise money for the Hodge family. It's got quite a line up of famous cartoonists on it. Today it goes for auction on EBAY along with many other fundraising items and art. Lot's of cool stuff actually. My dream of one day having my very own iPhone app has finally come true! Thanks to Bobby Chiu and Imaginism Studios, it's part of their new line of artist sketchbook apps. 30 virtual pages to fit in your pocket. 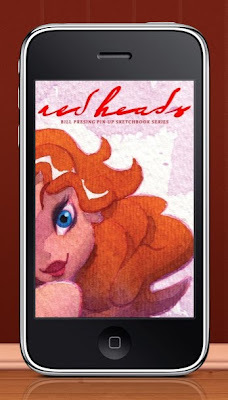 This redheads sketchbook will be the first of a series to be followed by two other popular female hair colors. Follow this link to learn more or purchase. To celebrate I'll be giving away free copies via promotional codes to 20 lucky loyal Daily Peril followers. So keep an eye on your inbox, it could be you!